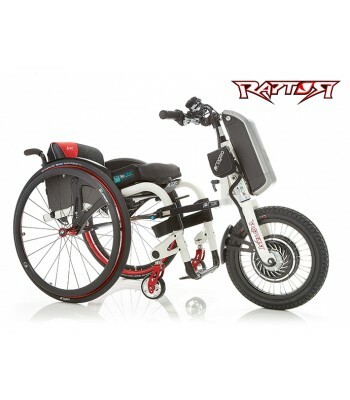 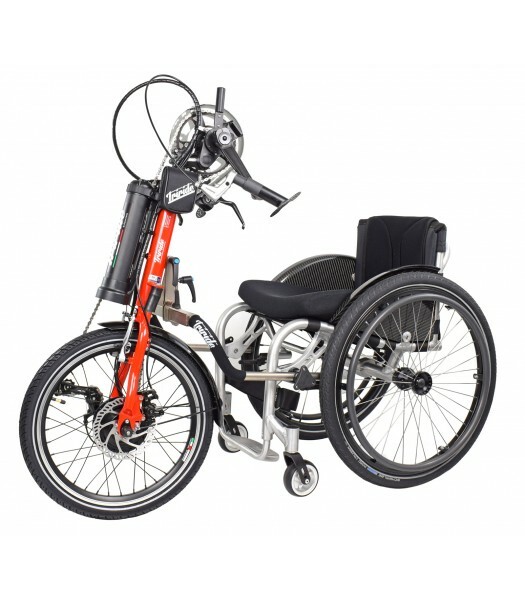 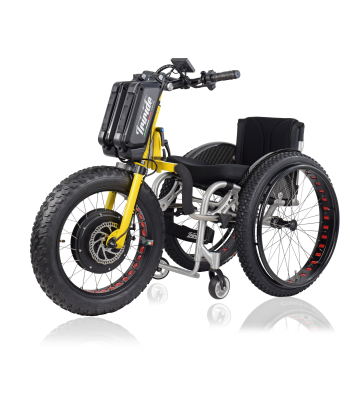 TriBike is a hybrid hand-bicycle, light (11Kg) and compact (16” wheel). 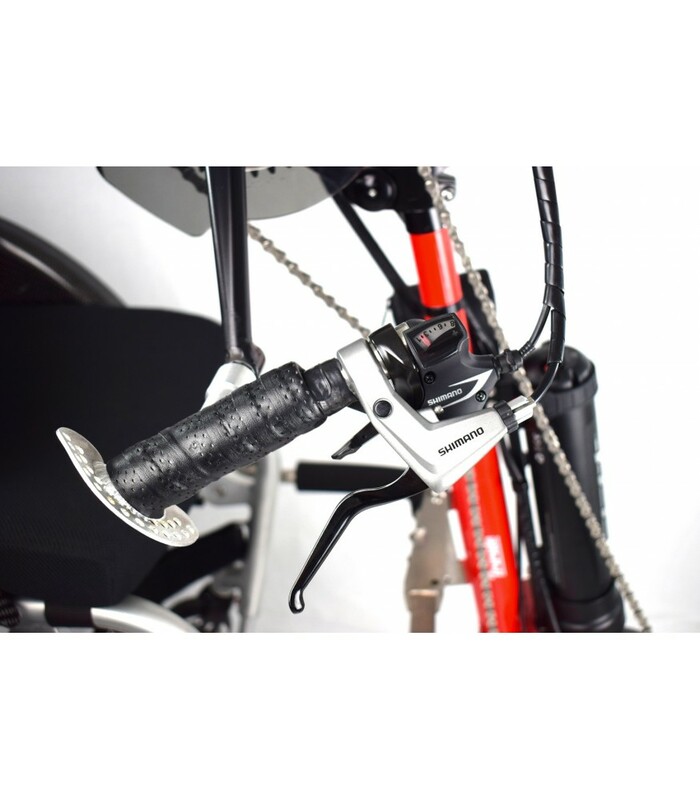 It uses the standard Triride attaching system and the overall length is more or less the same of an HP16. 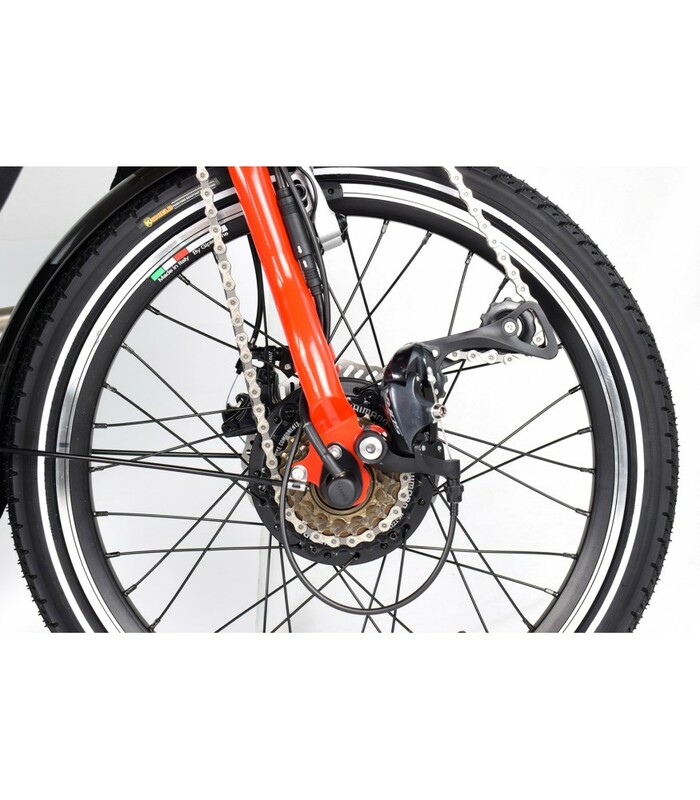 The power of the motor is electronically limited to 250W in order to comply with the European laws on electric bicycles (the TriBike belongs to this category). 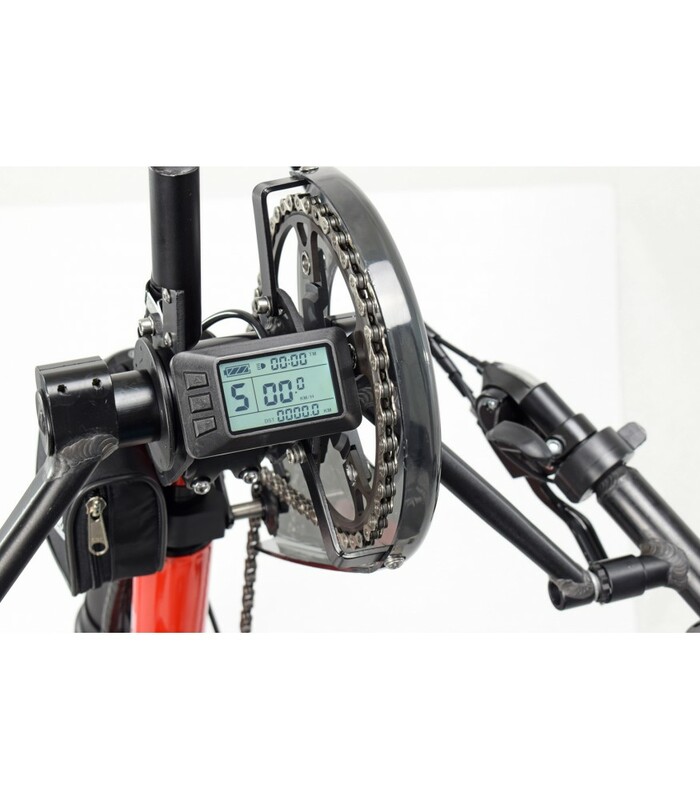 Consequently, the speed is electronically limited to 25Km/h (15.5mph). move the bike forward). 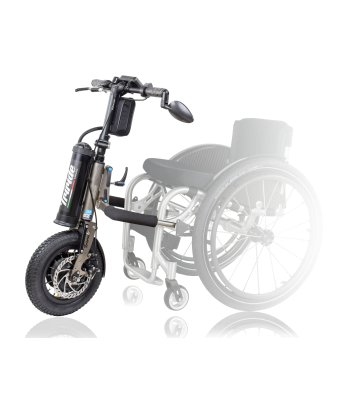 There is also a bicycle-style 7-gear transmission to be used to adjust and balance the manual strength and the level of motor assistance. 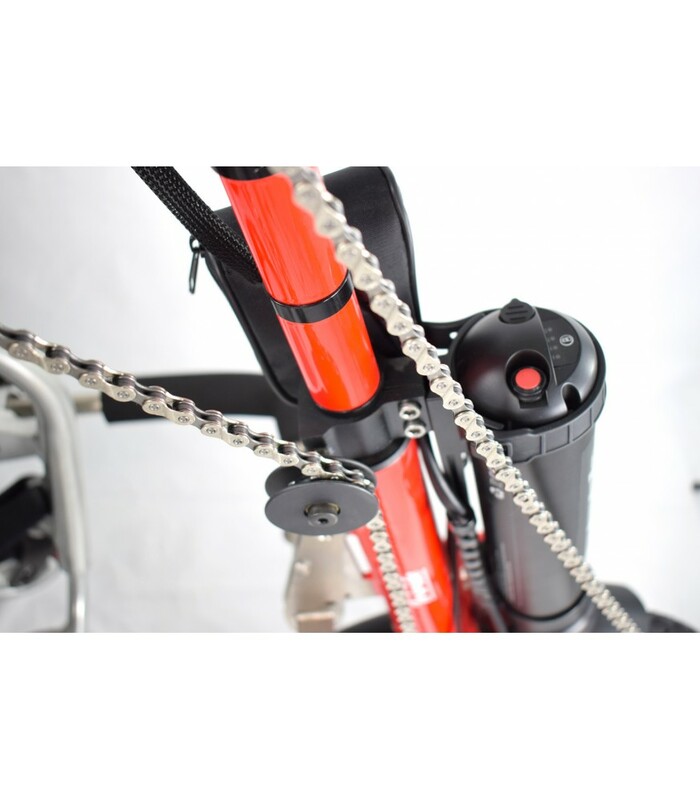 A wise use of the mechanical gear can save energy and make the battery charge last longer.